We are back in the water and ready to fish just in time for Nathan and the firemen from Roanoke, VA to cacth a nice mess of Gaffer Dolphin and a citation Wahoo. We spent two long months at Capt Squid Boatworks making some major upgrades to the boat for the 2016 season. While we didnt get everything we want accomplished we did get enough done to make her feel like a whole new boat. If you have ever fished with us before, you with think we got a different boat when you fish with us this year. 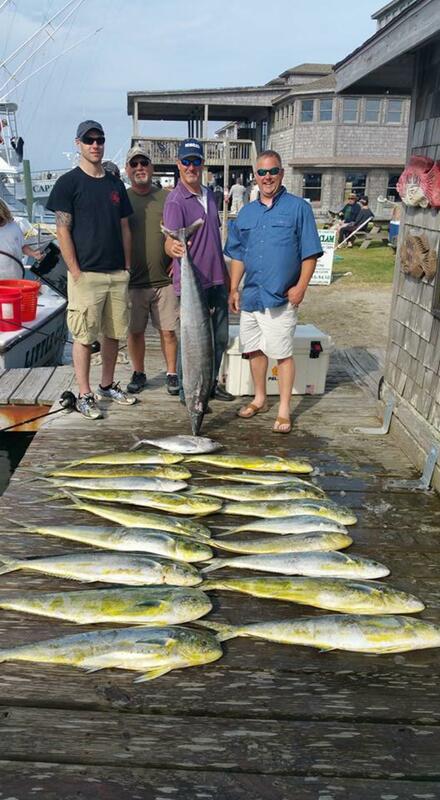 We still have some days open in May for some great Mahi or Cobia action. This is some of the best fishing of the year so don't miss out. Give us a call to book your trip today. 252-996-0549.